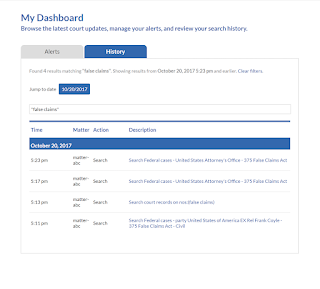 Picking up on a query from a prior session is easy— scroll through the entries in your search history log and select a query with a single click to instantly re-run the search or access a previously viewed docket or document. To look for particular words or phrases in your past search queries, run a search of your history using natural language or terms and connectors. Another way to review your past research is with the visual calendar view, allowing you to review your search history by date. To find your search history on a specific day, simply type in the corresponding date or switch to the calendar view in your search history log and select a day. You will see all of the search strings you entered and all of the documents you viewed on that date. This is helpful not only with finding relevant research queries around the occurrence of particular events, but also with retracing and mapping the progression of your research over time. 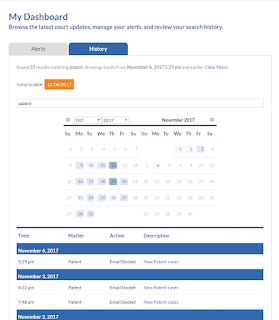 In addition to tracking your search history on specific dates, Docket Alarm also tracks your search history in relation to a particular matter, making it easy to review all related and relevant search queries and documents in one place. Search for the matter name using natural language or terms and connectors to see all of your related activity history. 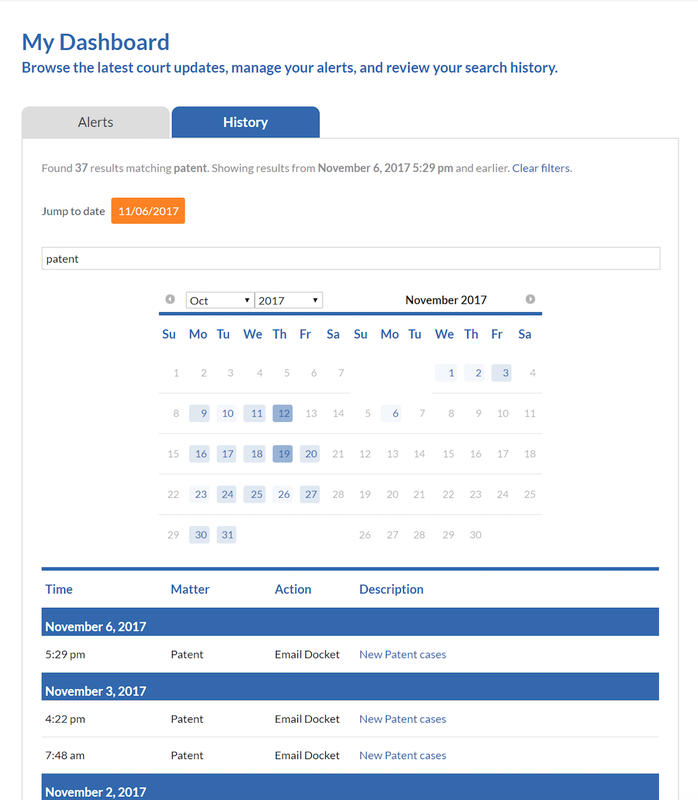 Docket Alarm’s visual search history provides benefits beyond accessing prior search sessions— it creates a repository of data for all of your users, allowing you to see statistics and usage data for your team over time. This could be helpful in evaluating the utility of the service both on an individual and collective level. 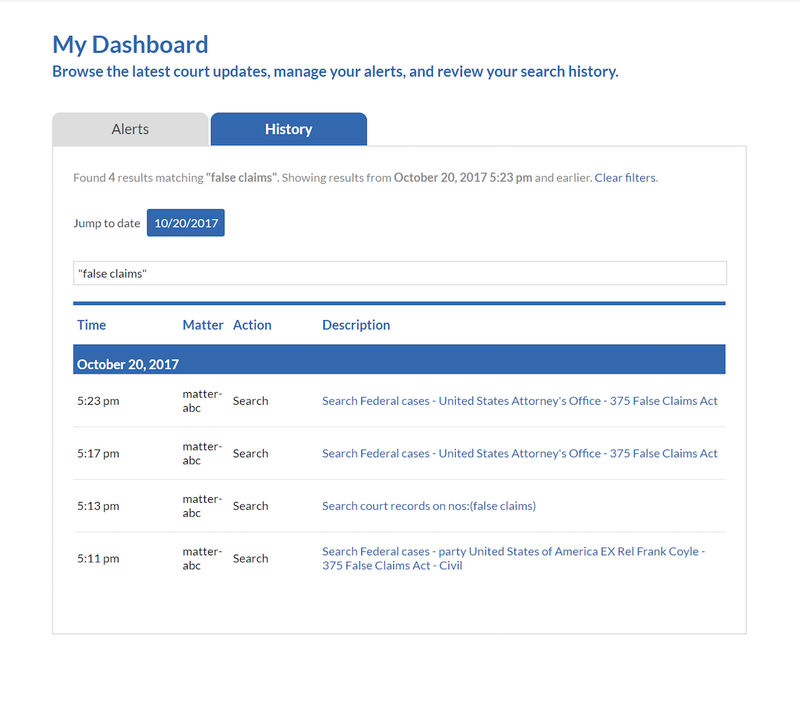 If you are not already taking advantage of Docket Alarm’s innovative research features like visual search history, sign up at www.docketalarm.com to get started.